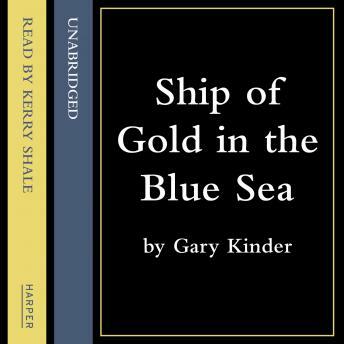 An extraordinary tale of history, maritime drama, heroic rescue, scientific ingenuity and individual courage, recounting death, danger and discovery on the high seas in the search for lost treasure. In September 1857 the side-wheel steamer S.S Central America, which had been carrying five hundred passengers, many of them returning from the Gold Rush in California, sank in a hurricane two hundred miles off the Carolina coast. The tragic story of this fabled shipwreck resurfaced in 1989, when ocean engineer Tommy Thompson sailed into Norfolk harbour with over ten tons of pioneer gold. Using oceanography, computer science and information theory to sift through historical records and explore the deep sea, the scientists of the Columbus-America Discovery Group established mankind's first real working presence on the deep ocean floor. Battling storms, technological challenges and intrusive salvagers, they recovered mint-state coins, antique bars and sparkling gold dust from what Life magazine described as "the greatest treasure ever found". Ship of Gold is a copiously researched historical record of the initial disaster, rendered in chilling detail from contemporary accounts by eyewitnesses and survivors. It is a fascinating chronicle of the technological breakthoughs at the frontiers of knowledge, in which deep-sea robots were developed to perform heavy, delicate and complex work. And it is an incredibly exciting adventure story of the human will to succeed, a compelling tale of the triumph of making possible the impossible.